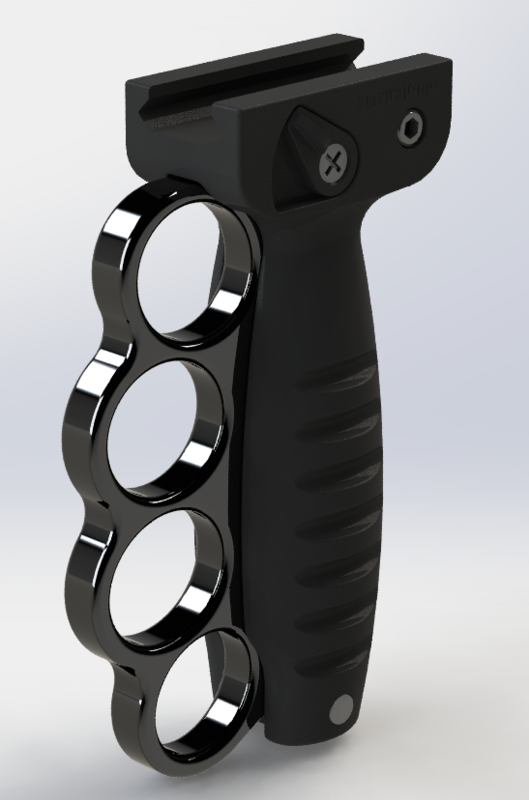 Survival Grips are new innovative foregrips/forward grips/forend grips with a detachable finger guard/knuckles option. 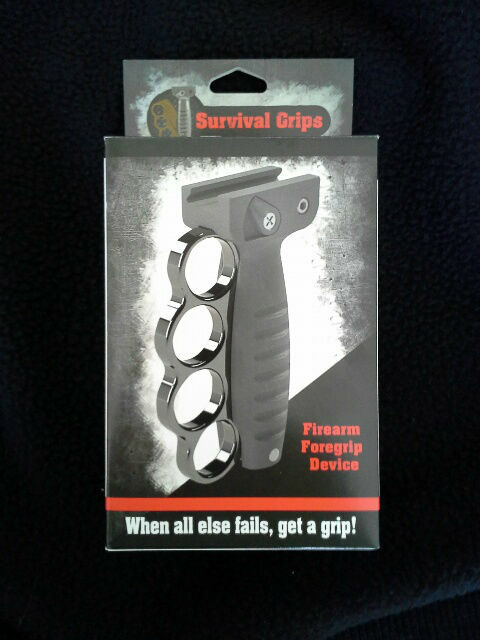 With the flip of a switch, Survival Grips can help enhance your ability to defend yourself by giving you an advantage over your opponent by increasing the power behind your hand to hand combat skills! 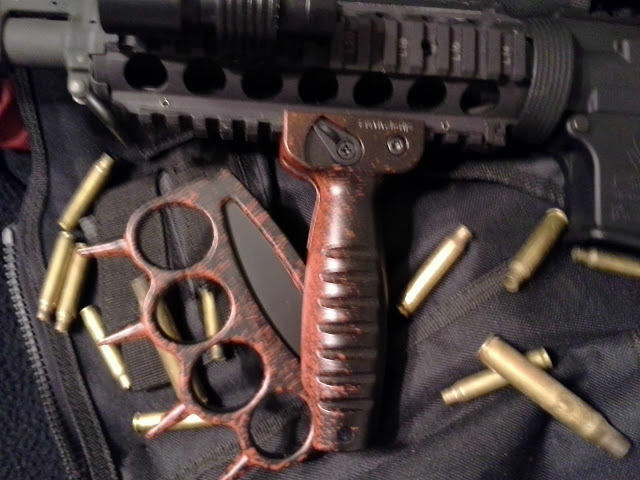 Survival Grips are made out of aircraft grade 6061 T-6 hardened aluminum with a polycarbonate shell and will attach to any firearm with a Mill-STD-1913 or Picatinny rail system. 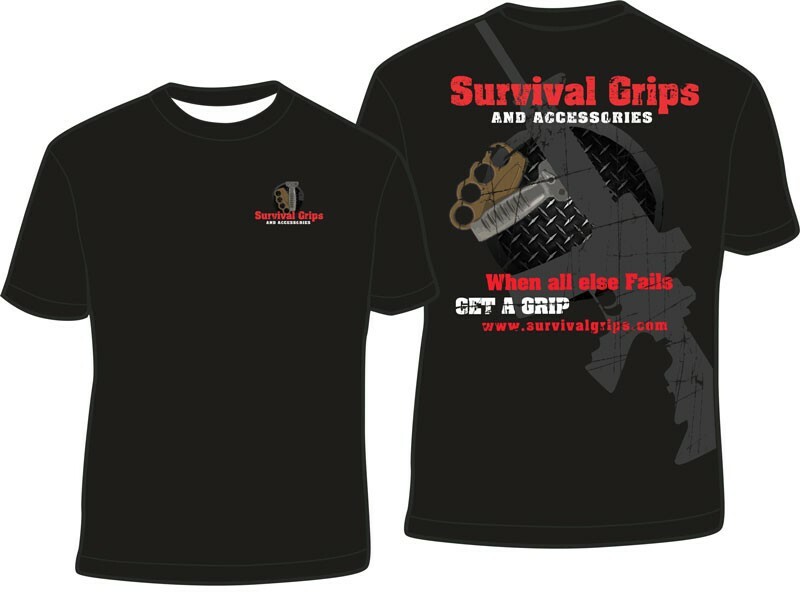 Survival Grips can help to improve the accuracy, control, safety and security of ones firearm. 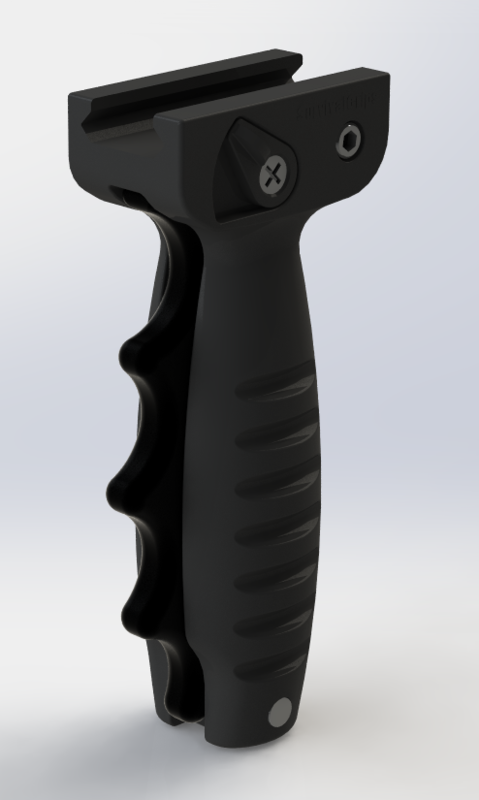 Grip-Polycarbonate, Finger Guard-Aircraft Grade Aluminum 6061-T6 Black Anodized, Rail Mount – Accommodates Mil-STD-1913 or Picatinny Rail, Grip Design-Patent# US D728, 725 S, #9,228,797 B2, Components are made in both the USA/PRC and assembled in USA. Check out our adds in these magazines for the latest discounts!!! CHECK OUT OUR ADD IN THE ALL NEW SURVIVOR’S EDGE MAGAZINE!!! 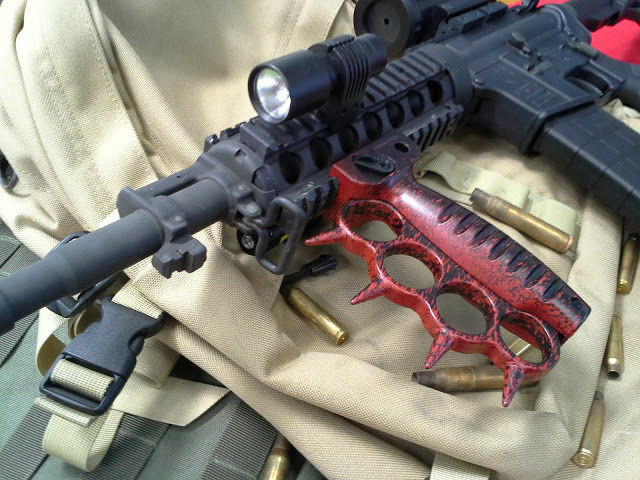 Make that last PUNCH count! LEGAL DISCLAIMER: THE POSSESSION OF THIS PRODUCT MAY BE ILLEGAL IN SOME JURISDICTIONS. 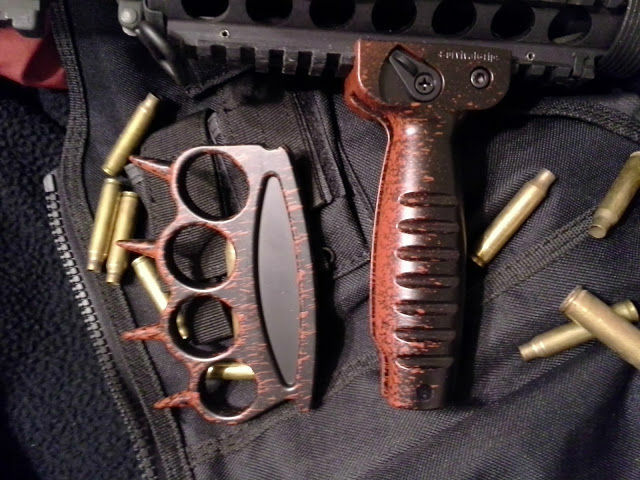 Federal, state and local/municipal laws regarding the possession of certain items related to firearms and other items for personal defense vary greatly. 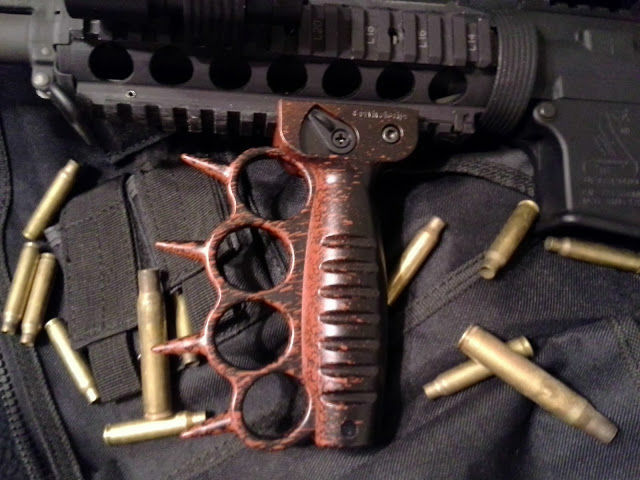 An item may be legal to possess and use in one jurisdiction but may then be illegal to own, much less possess or use, in a different jurisdiction a mere five minutes away. 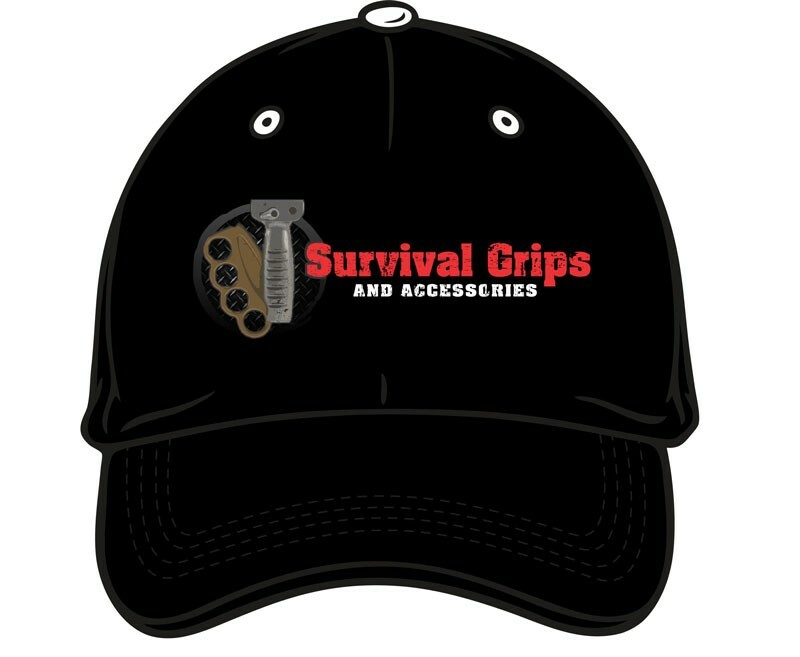 Survival Grips and Accessories, LLC (“SGA”) takes legally prudent steps to follow laws at the State and Federal level and, as a law abiding company, does not ship its products into those states where it knows its products are illegal. However, it is the purchaser, NOT THE SELLER, who is responsible for compliance with all Federal, state, and local/municipal laws. 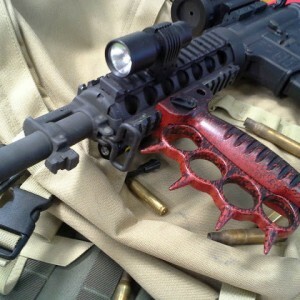 Also, the use of firearms and related accessories is an inherently dangerous activity and must be conducted with care towards both the user and those around the user. SGA will not be held liable or responsible for illegal or otherwise improper use of its products.